The indiscernible political solution between India and the Nagas through political talks for over 16 years has not only brought forth a sense of loss of confidence of the people on the claims of sincerity and seriousness on the part of the Government of India but has also grossly violated the human rights of the people in negotiations. The Indo-Naga political talks has crossed more than 70 rounds of talks everywhere including Paris, Tokyo, Amsterdam, Bangkok, New Delhi and Kohima. For an ardent observer, the best that can be summed up of the whole peace processes is nothing but shilly-shallying the hard-earned peace process by the Government of India (GoI). Every politically conscious person is aware of the political manoeuvrability being played by the GoI. For example, the principles of talks that have been agreed upon by both the entities since August 1, 1997, such as, 1. Talks are unconditional, 2. At the highest level meaning at the Prime Ministerial level, and, 3. In the third country, have never been fully carried out. The GoI has not only backtracked on many of the terms of talks that have been agreed upon but also went extra miles by arresting some key functionaries of the National Socialist Council of Nagalim (NSCN) who are part of the peace process. The unprovoked arrest of Anthony Ningkhan Shimray, for example, in Kathmandu on September 27, 2010 by Indian agencies while on his way to attend peace talk in New Delhi can seldom be considered democratic in any sense of the terms. Naga civil societies have demanded unconditional release of Shimray and many other political prisoners from the Indian jails for lasting peace to be brought about. However, no political prisoners have so far been released by India the reason best known to its policy makers. It is only making sense that Naga political prisoners are released sooner than later if India believes in peace and tranquillity. The unconditional peace process is a deception by India against the Nagas due to the fact that India does not respect it in letter and spirit. Unconditional peace process hardly matters the Indian leadership once the ceasefire is signed. It is unimaginable to think that the right of people to self-determination and aspiration to live as one family is being questioned on the table of negotiations. The unconditional talk is a sham in so far as the GoI issued terms and conditions vis-a-vis the Naga Collective Leadership on their movements within their own territory. Examples are amply clear as to how the unconditional dialogues are being treated by India against the Nagas. On May 6, 2010, Th. Muivah, the General Secretary of the NSCN was stopped from entering his native village, Somdal, by the Government of Manipur, a branch of the Indian Government. Isak Chishi Swu, the Chairman of the NSCN was supposed to visit his village in 2012 where GoI issued terms and conditions restricting the free movements of the leader. This is not only violating the principles of talks but also an infringement on the rights of the Naga leaders for free movements as citizens of this world. Now, it is reported in some media that "Naga leaders are being monitored wherever they go and their communication, read phone and internet, are tapped". The past incidents of disrespecting the original ceasefire terms of talks are never in the spirit of transforming the 60 years old conflict, rather, it is seemingly sabotaging the hard-earned peace process. Disregards shown to the peace process by India is not at all plausible as it does not make any sense to the people at large. Naga People adopt a wait and watch policy because they have gained enough experiences as to how and in what manner India will behave its card towards the Naga people. It is suggested that 1964 and Shillong Accord types are not repeated in the history. It is reminded to the negotiating parties that the past methods of conflict management are not workable at present while dealing with the political and identity based conflicts. A new approach/mechanism is the need of the hour for transforming the conflict wherein new political vistas take proper root. In the beginning of the Second Indo-Naga Ceasefire, the people have a high hope for bringing an end to one of the oldest but least known conflicts in the world. Indeed, the peace process could be signed after the Indian leadership realised that military might is not possible to bring any solution without giving way to political dialogues. Former Prime Ministers of India, P.V. Narasimha Rao, H.D. Deve Gowda, I.K. Gujral, Chandra Shekhar, Atal Behari Vajpayee including the present PM Dr. Manmohan Singh all said political solution is a must to the conflict. Nevertheless, after 16 years of talks political solution is yet to be seen. Former Indian Army Generals including Shankar Roy Chowdhury realised that military solution is not possible in the Naga case for which political means should be approached. With that realisation, the Second Indo-Naga Ceasefire was signed by both the parties, and appointed Ceasefire Monitoring Committees to oversee the Ground Rules. Inspite of the terms of talks and ground rules in place, GoI has violated on several occasions as many Naga cadres have been killed during the peace process in addition to the arrest of key Naga leaders. In so far as the talks are concerned, the only occasion when Indian Government showed a political maturity was during BJP-NDA rule when the Indian Prime Minister, Atal Behari Vajpayee recognised the "Unique History and Situation of the Nagas" on July 11, 2002 at Amsterdam. The Nagas appreciated the Indian leadership for showing positive political intention by recognising the unique history and situation of the Nagas. It was in line with such political recognition that the conflict was thought of to be transformed through talks. In what could be termed as disrespecting the good services rendered by the Interlocutors such Swaraj Kaushal, K. Padmanabhaiah etc who tried to understand the Naga question in right perspective were suddenly removed from the role of being negotiators of the GoI in the midst of talks for no fault of theirs. The idea behind their removal was nothing but for prolonging the whole peace processes which was a disgrace not only to them but also to the people in general. Besides, the UPA Government under the leadership of Dr. Manmohan Singh in the last 9 years since 2004 has wilfully neglected the political issue and made this and that excuses one after another. Every event for India is an opportunity to make excuses when it comes to people's issues. India does not lack in making excuses while its leadership lacks political will and commitment. Making excuses like UPA Government is a coalition one is simply to brainwash the common men. If it is so willed, GoI have enough resources to resolve and transform the Indo-Naga issue for now. Apprehension is rife in certain corners that hidden agenda is being played out to hoodwink the spirit of Naga nationalism. In seriousness, GoI will surely take 2014 General Elections as an opportunity to make another latest excuse to suspend a solution to the Indo-Naga issue. The question is, will the Nagas be able to wait India to end making its excuses while political solution is in at the backstage? It may not be wrong to point out here that GoI does not consider Naga issue as a problem anymore by assuming that there is a peaceful environment in the Naga areas especially in Nagaland State. But GoI should acknowledge the fact that the prevailing peace is just a "Negative Peace" in place needing a "Positive Peace". 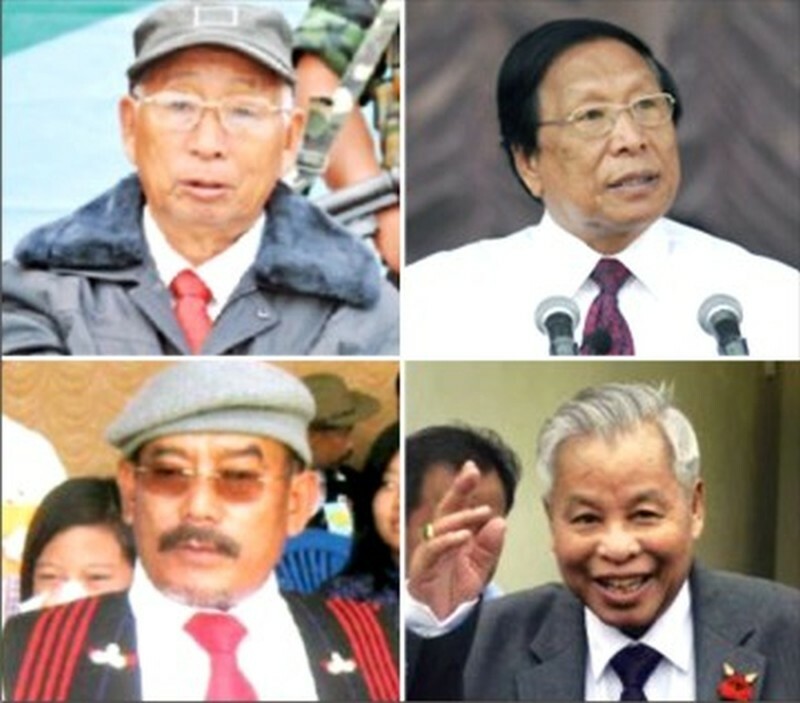 On the part of the Naga leaders what were and are supposed to state have already been tabled. Naga leaders have made their position crystal clear on the aspiration of the Naga people to GoI. There is no doubt that by now the Indian leadership must have understood the aspiration of the Nagas loud and clear. If it so, then, the only responsibility left with the Indian leadership is to come out clear on its policy decision without any further delay and suspense. If the GoI keeps on delaying its policy decision in resolving the Indo-Naga issue further, it is only deepening the infliction on the human rights of the Naga people. It is absolutely important to note that, an acceptable and honourable solution could be brought about only on the basis of the "Unique History and Situation of the Nagas" as recognised by India on July 11, 2002. In which case, the historical and political rights of the people are secured and enhanced. In short, the cornerstone for any viable solution is based on the uniqueness of the Naga history ensuring unique political identity, human dignity and empowering the people, informed by the principles of truth and justice. Such a solution comes along with democratising India while at the same time security and development is assured in the continent. A foreseeable solution sought without the political content in any measurable terms as mechanism to transform the conflict is to be discarded. Any solution devoid of political content is meaningless and fruitless. Assuming and proposing Social, cultural and financial packages to be a viable solution is not only temporary and tempting but also negate the very idea of national identity as distinct and unique. A comprehensive and workable political mechanism should have been in place by now after more than 16 years of talks. But until as today, such a step being initiated by the negotiating parties is not observable. As separate entities, both India and the Nagas could have an inseparable and friendly relationship in all aspects where one's rights are respected by the other and vice versa. It is a right moment for both India and the Nagas to sign on the dotted lines sooner than later. This article was posted on October 05, 2013.